In celebration of National Library Week 2014, Musselman Library held its first annual Edible Book Festival. Library staff members created book-inspired treats to share with the campus community. 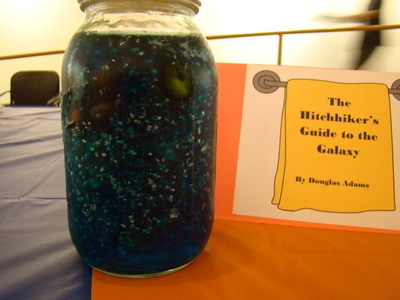 This creative ‘galaxy in a jar,' designed by Miranda Wisor, was a simple mixture jello, sprinkles, edible glitter and jellybeans. Pretty out of this world right?